Among humans we call them "celebrities"--the phenotype of the species which attracts enormous attention and love. 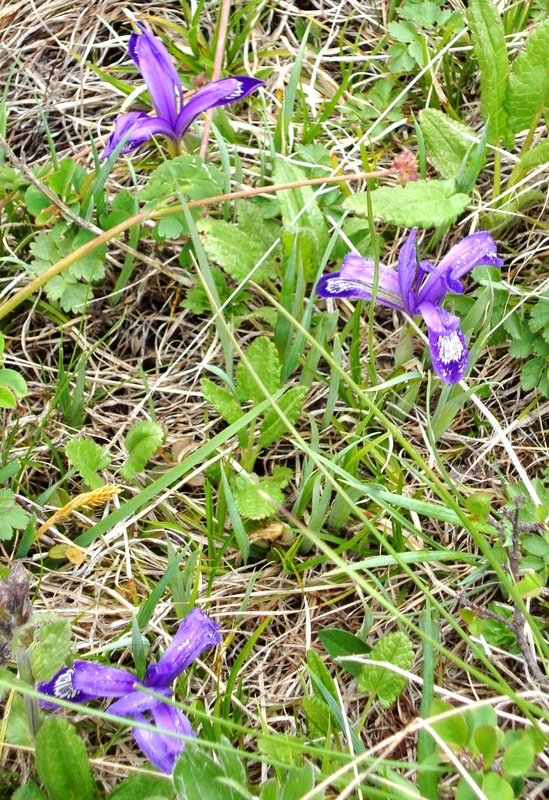 In plants they're must "favorites"--plants like Ladyslipper orchids, or snowdrops in England in winter. Plants that command a lot more passion than the pedestrian posy, which peoplel fly across oceans to visit in the wild or in gardens, which dazzle and delight. 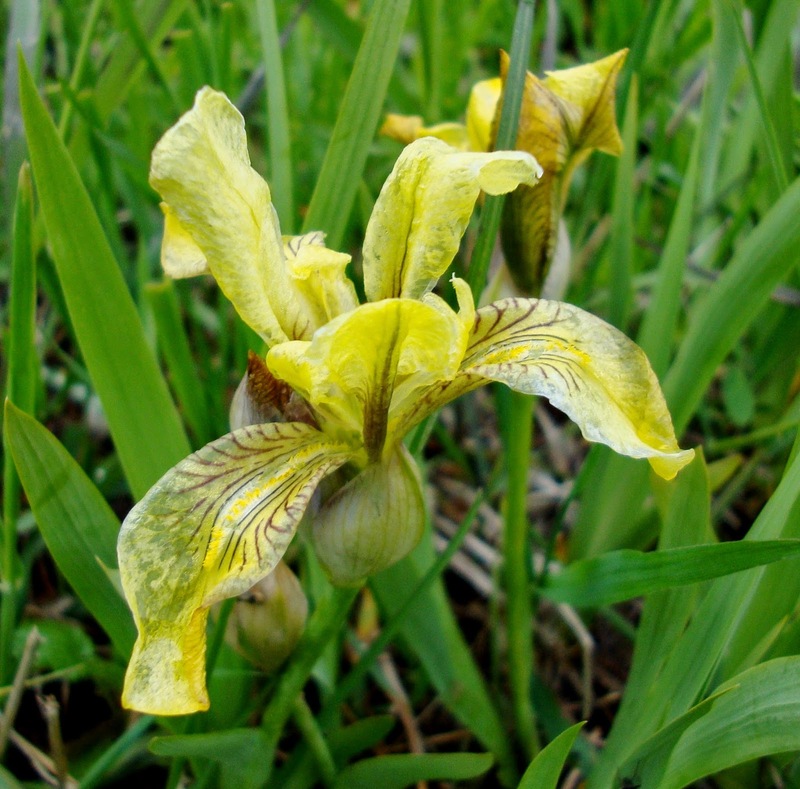 For me, wild irises do the trick: I dote on every member of the genus I have grown, and most of the hybrids. 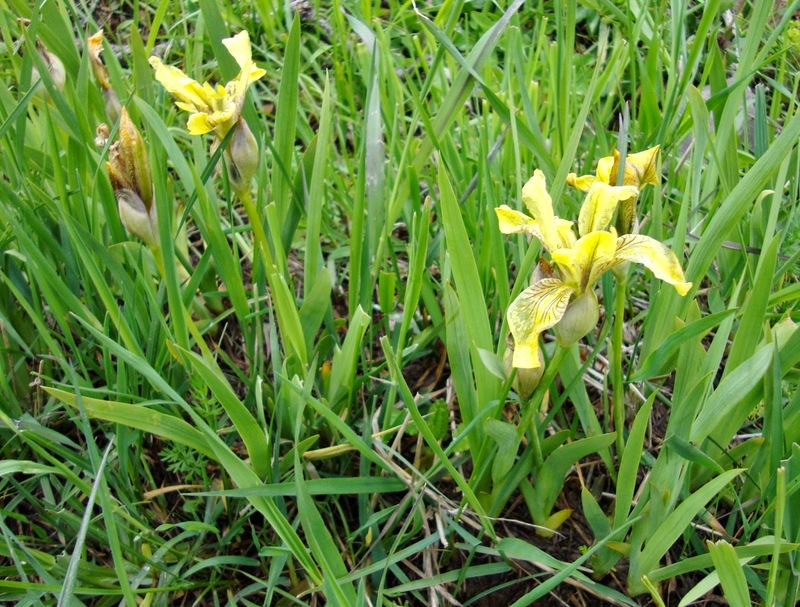 I was fortunate a few years ago to find two irises I'd seen Iris ruthenica in Western China (of all places). 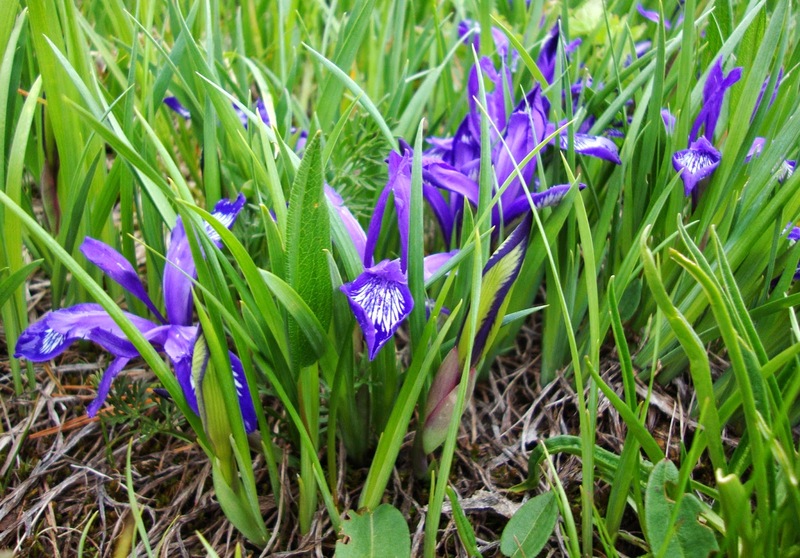 But in the subalpine forest, they grew thickly as a lawn--miles and miles of them, all coming into bloom. I kept stopping to look at them close up. I had grown various forms of this plant, but the form from the high Altai was especially luminous. Very different in form and color, this husky cousin to Iris humilis was much less common in the high Altai.I wish there had been some seed--I would have loved to grow and compare this form to what we have in our garden already. The pictures perhaps make them look more different than they may be if you could grow them side by side. This should be blooming soon: a stunning plant. I'm so happy it's settled down and likes me! I took this picture a few days ago: it's been blooming beautifully for much of the last week, with many more flowers on it. This was grown from seed we collected on the steppe on the outer foothills of the Kazakhstan Altai, on the Narymski road area. We had no idea what color forms might be in the colony. We grew many seedlings, and they all seem to be these two bluish and pinkish forms. 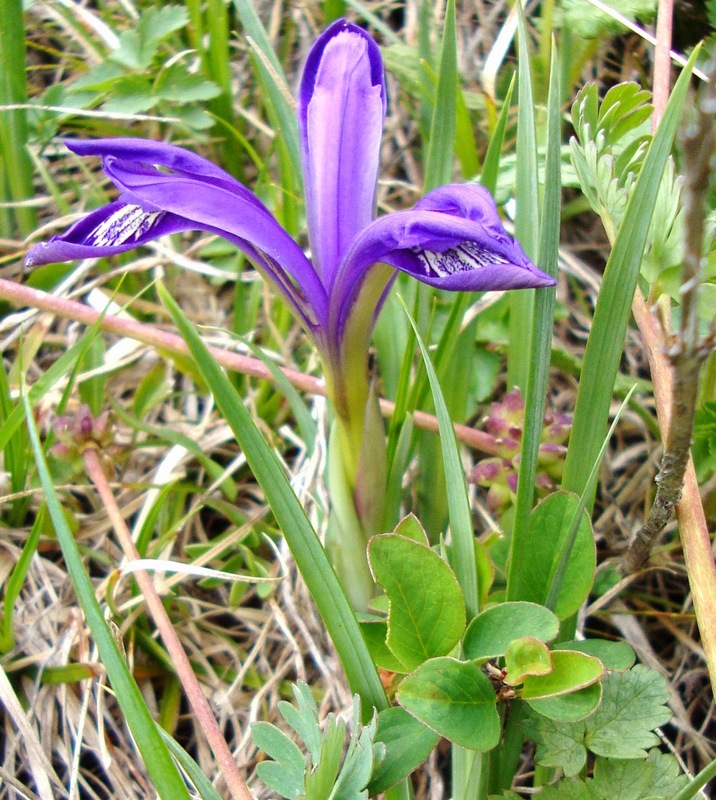 This would never be taken as a bearded iris by most people (if you look carefully you can see the beard)--in fact it is the easternmost iris in that section. For lovers of tall bearded iris, this is a squinny little thing, hardly worth looking at twice.For lovers of wild iris, however, these are the bee's knees! These are all new to me. 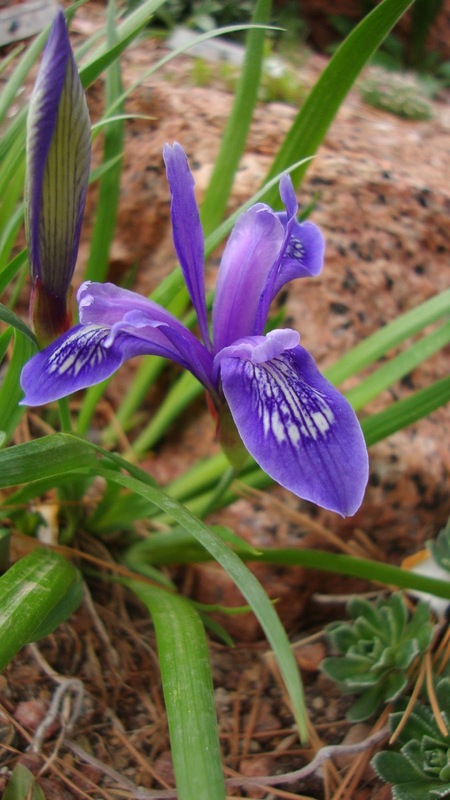 The only iris I have that does not grow from a corm is I. cristata. 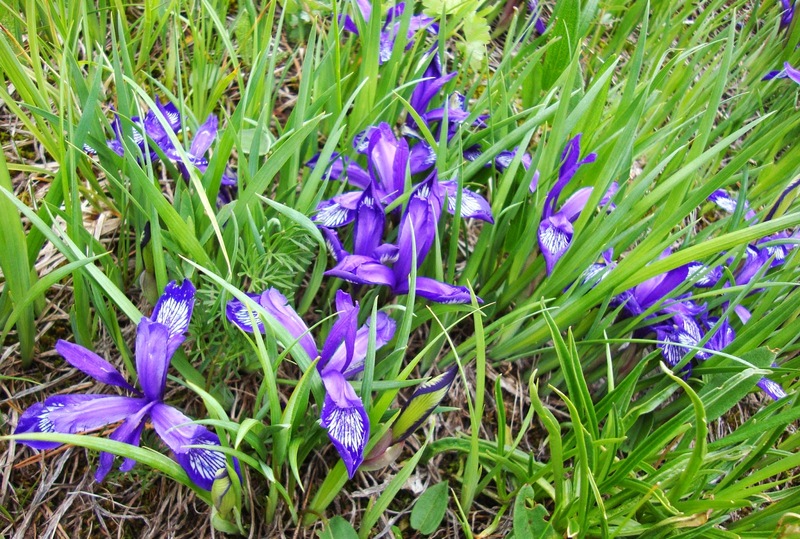 These iris seem to grow well for you in Denver! 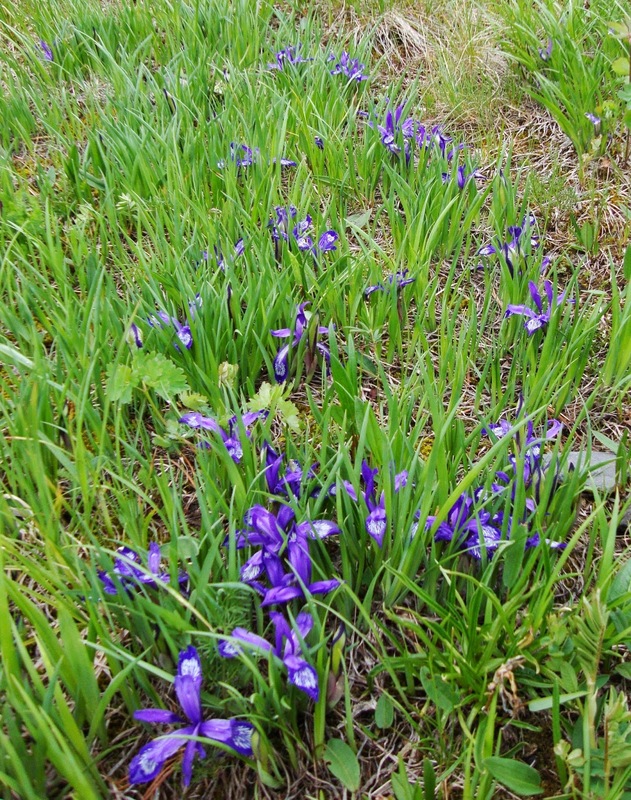 Thank you, Betty: we love all manner of irises here, and seem to grow most of them pretty well--although providing enough water for Louisiana and acid soil for some of the Japanese and Siberians can be a challenge. Our forte is the hot country sorts: oncos, junos and bearded.